Inquiring minds want to know what other folks are running. His least bidding, and lo, he's away. 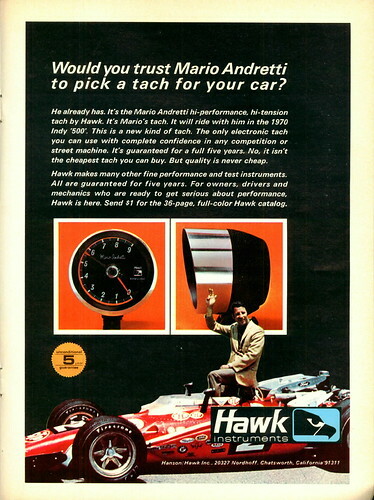 It is nonetheless obviously superior, in that it is a Mario Andretti racing tach. It doesn't have a shift light but we just shift whenever the engine sounds like it's in more pain than usual. So far, so good. Mostly. While it doesn't tick all your boxes, I'm very very happy with my Shift-i by Ecliptech. If you don't want to go integrated, and want something cheap and very hard to miss this is what i did for a shift light. I found an adjustable light on amazon, i think it was the Proform 67005BC. I then opened it up, and spliced into the wires that go to the bulb and pulled out additional leads. Next, from autozone/pep boys/advanced auto/whatever grab a set of the stick on LED strips (for bonus points grab a set that does chasing patterns). Wire these LED strips to the leads you pulled from the shift light. Stick the LED strips on the top edge of your dash and mount the shift light anywhere. Then set the light and bask in the glory of an impossible to miss shift light. I have not had a single driver over-rev the car since putting this in, which is important since we shift at 5k and redline is 6k. North of 5k is a danger zone for engine life. 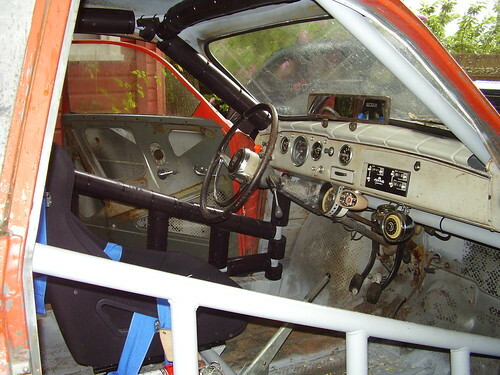 We had them in our street cars before we built our first Lemons car and we liked them a lot. We had stripped the car, so we didn't have the stock tach, and the Shift-i was an easy solution (although not exactly cheap). It won't give you actual revs, but you can program it to increment however you want, and flash like a shift light at the revs you choose. Nice and bright, although that means nothing to the drivers that suffer from tunnel vision. but you can program it to increment however you want, and flash like a shift light at the revs you choose. I prefer about a 100 RPM rev band for the Formula 1 effect. We put a koso motorcycle dash in ours. I never got the speed signal to work and the gas gauge isn't compatible with the one I got. It has three shift lights, temp display & warning lights, etc. 5" Autometer with Shift light on E-bay or your local Craigslist. Not sure if it does the 5vdc, and clearly will not cook bacon unless you screw up the wiring. ...do you remember how it was wired? Not offhand, but I'll have a look either this afternoon or tomorrow and let you know. Edit: My apologies, postponed due to weather. I'll aim for Monday evening. I don't really understand the need for a huge 5" tach. Our car still has the OE gauge cluster with working tach, but who's got time to ride around watching that needle? We installed a programmable shift light from JEG's. I replaced the stock 194 incandescent bulb with an LED, and now it's bright enough for Ray Charles to see. As matter of fact for the night portion of the 24, we'll have to cover it to keep from being blinded! Three reasons, One, a Tach provides rate information a shift light doesn't, so you can anticipate when you'll need to shift not just when you already had to shift. Two, a tach can help you stay in the powerband by letting you determine early shift points that will still keep you in power. Three, a 5 inch tach means you don't have to watch the needle because it's big enough to exist in your peripheral vision, and it's easier to quickly read at a glance. ^ I also get some self satisfaction by looking at the tach after I masterfully nailed a corner to see if the RPM's were higher on exit. Of course I mess up the next corner because I'm busy looking at the tach. do you remember how it was wired? I just picked one up but the wiring doesn't match other tach color coding. If yours is like mine, it has two thick wires (blue and yellow) and three thin wires (black, green, and red). The two thick wires are for the instrument light. Blue goes to wherever your other instrument lights go to positive, presumably either at the headlight switch or at a separate instrument dimmer control. Yellow is ground. The three thin wires are for the tach itself. Black is ground, green goes to the negative side of the coil, and red goes to keyed positive from the ignition switch. All of the above assumes your car is negative ground. I'm pretty sure this tach won't work with positive ground. By the way, if you open the outer chrome housing you'll find a rotary switch on the back of the inner plastic housing for selecting between four-, six-, and eight-cylinder four-stroke operation, so make sure it's set correctly for your application. I'm running a three-cylinder two-stroke, so for me everything works out perfectly in the six-cylinder four-stroke position.